Welcome to this week's edition of Frugal Friday! Last week's Frugal Friday was the biggest to date with over 500 posts linked up! That's a lot of Frugal inspiration, people. If you missed out, you might want to stop by and see. Speaking of inspiration, seems that a lot of you REALLY liked the fan favorite from last week, A Diamond In The Stuff's dryer vent pumpkins. So cute!! 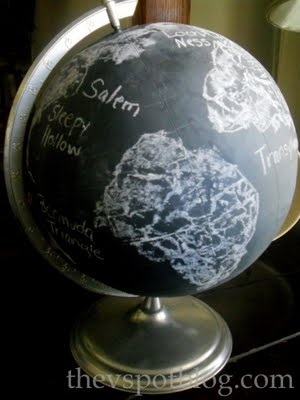 First up, The V Spot shared her adorable chalkboard painted globe. 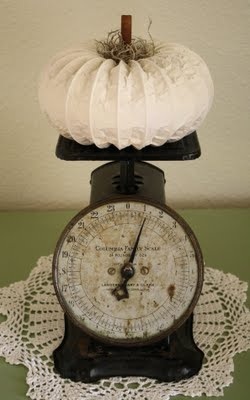 What a perfect idea for some not-too-ghoulish Halloween decor. 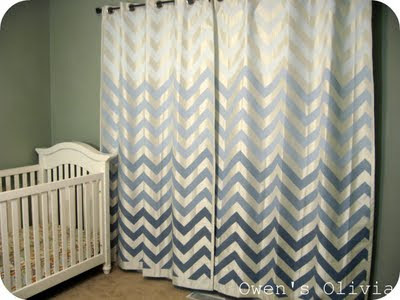 Next, we've all noticed the Chevron trend sweeping through the blogosphere, and who could miss the fact that Ombre is SUPER popular right now...but how's this for killing two birds with one stone (figuratively, of course) Ombre Chevron curtains by Owen's Olivia!!! Love. them. Funkytime shared her darling bedroom makeover...with lots of fun projects that you can tackle yourself. Loved this post. Finally, The Painted Home shared her yard-stick staircase. 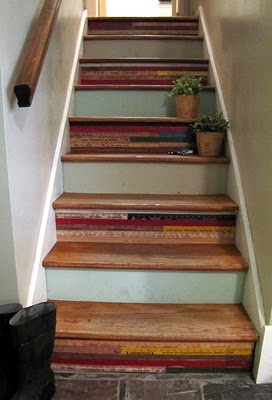 Such a fun way to add interest to those hum-drum stairs!! Thank you so much Wendy for hosting such a fantastic party! Wow, some fantastic features and I am especially loving the chalkboard globe. SO fun! Thanks for hosting. Nice feature choices. Hi Wendy! Thanks for hosting the party. I have a question...is there a certain number of "likes" or just "like" as many as you want to? Hi Miss Kitty...you can "like" as many projects as you want. Heck, you can like 'em all if you want to. :-) It's just a fun way to show our appreciation for the posts! Thanks for asking!! Thanks so much for hosting Wendy!! Have a great weekend! I loved those dryer vent pumpkins. SO creative! Thanks for another great link party! Hi Wendy, it's my first time to party here, thanks for hosting! Fantastic pumpkin. Can't wait to explore everyone's ideas. THanks for hosting! I love the dryer hose pumpkin! Thank you so much for hosting, Wendy!!! I hope you have a fantastic weekend! YAY! I'm so glad you guys like the dryer vent pumpkin! I'm totally diggin how the white ones came out! Thanks so much for the feature!!! Hey girlie! 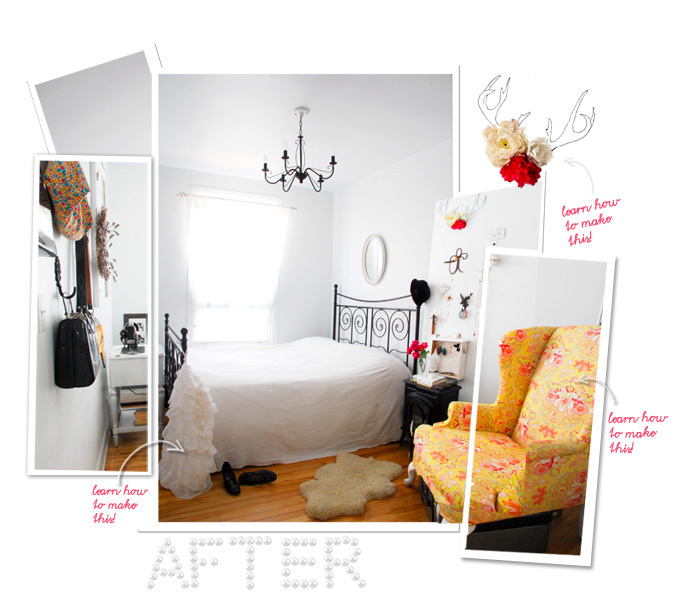 We haven't shared a tutorial in a while...this one is a goodie! Fabulous features! I can't wait to read about how that yardstick staircase was done! Hi Wendy, Such a great party. Thanks so much for the feature on my yardstick staircase! You're a doll! Wendy ~ Thank you for hosting! Really great features! Thank you posting my curtains!